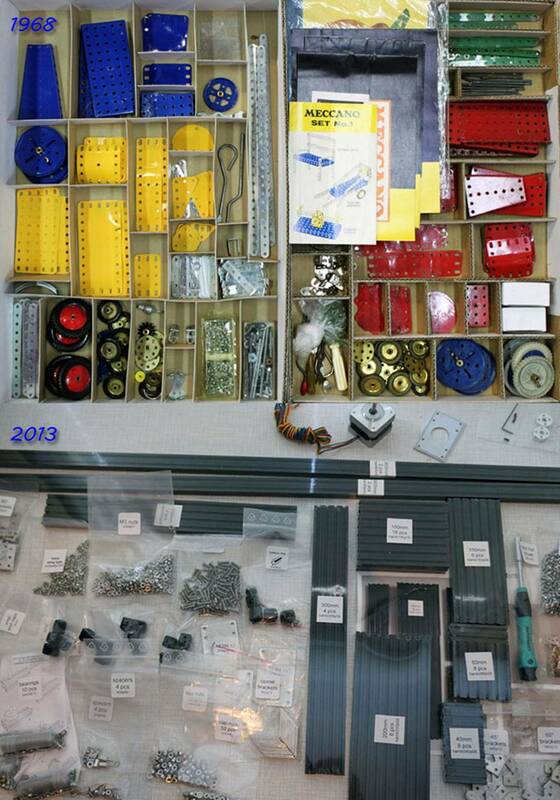 From Peter we received a great project where Fisher Technik is combined with MakerBeamXL. 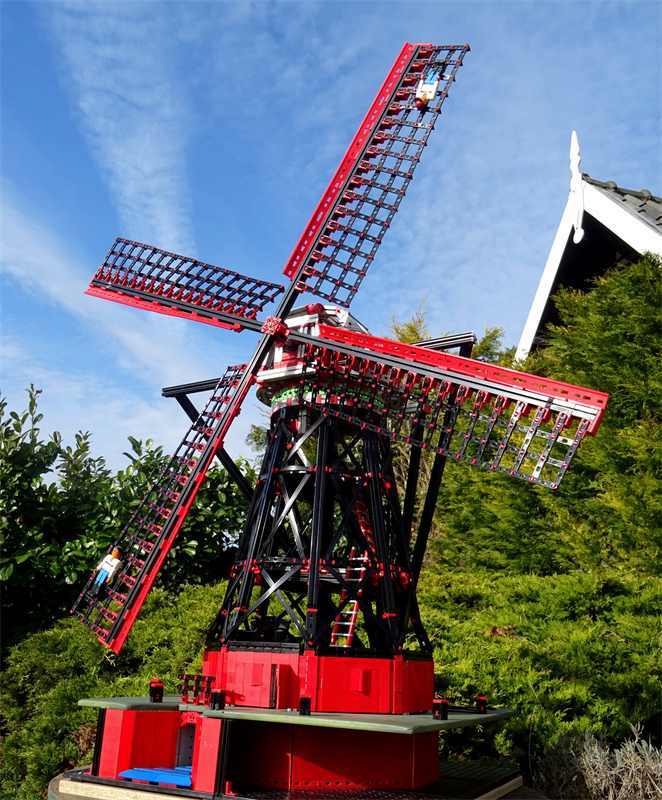 MakerBeamXL is used to strengthen the model of a windmill, see picture. For MakerBeamXL products in our shop, click here. Peter researched his windmill model carefully. The model is build in 1:25 and measures 1m30 in height and 1m15 in width. If you want to know more about his research please visit the fisher technik community website (ftcommunity.de). You can learn more about the project there. Below is a video of the great project that took months to build. End of May 2013 Rob sent us this great picture and we had it on our homepage for a while. We love it too much to just let it dissappear into our archive. There must be a number of customers who grew up with Meccano, or something very similar, but want to throw in some modern day electronics as well. They will love MakerBeam. There was another customer who hinted us about a Meccano-clone manufacturer that might be still of interest for MakerBeam customers. It is the website of a well-known Meccano-clone manufacturer that makes meccano that uses a 10 x 10 mm grid and M 3,5 nuts and bolts. In the 80’s it was sold in the Netherlands under the name of “Tecc” but its real name is “Merkur“. It seems to me it is a great source for brackets , strips and angle girders that can be combined with Makerbeam and Openbeam. Fischer Technik is another building system that is compatible with MakerBeam. Hopefully we will soon have some pictures to show you.